Learn how to customize your Today Page cover photo and company branding. The Today Page is designed to be the launchpad for everything you need to get done today, which is why we give you the ability to customize your personal cover photo and for your company administrator to add your company logo to your homepage. Learn more below! On the Today Page, select Manage Widgets to pull up the customization view. On the right-hand side, select Add Logo to pull up the file browser to add your company logo. 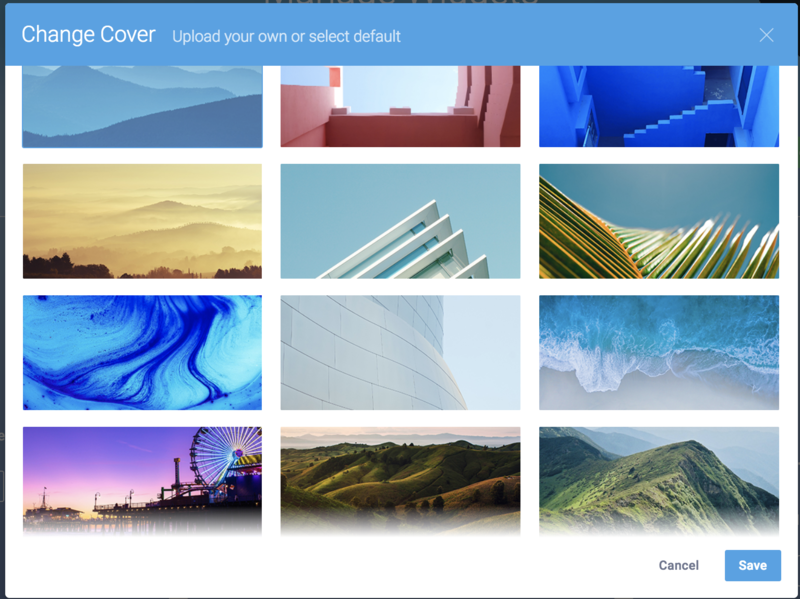 We offer the ability for each individual team member to select from one of our twelve custom cover photos or to upload their own. Note: each cover photo is unique to the team member that selects it. Get started on the Today Page. Then select Manage Widgets to pull up the customization view. Next, select Change Cover on the left-hand side to pull up the cover selection window. From here, you may upload your own cover or select from one of our twelve default covers.